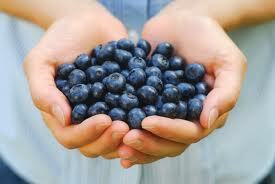 I LOVE Blueberries and a good thing too because they are a superfood. They have one of the highest anti-oxident capacities of all fruits and vegetables. This fact is amazingly fantastic for us because, anti-oxidents are essential to our healthy living. Free radicals are the nasties that attack out bodies from the inside. They damage our bodies on a cellular level. 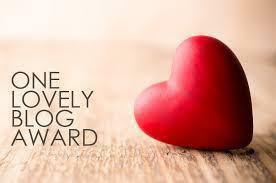 We are exposed to free radicals through diet, environmental factors such as pollution and smoke. We basically can’t really avoid them. Free radicals also cause wrinkles! This is where Blueberries and anti-oxidents come in. Anti-oxidents help ‘kill off’ and combat free radicals, kicking them into touch. The more anti-oxidents we consume, the better! So basically Blueberries can help slow down wrinkles! I think that says it all??? The best way to eat your Blueberries is raw, that way you are getting the maximum goodness from them – don’t rely on Blueberry muffins for example. A few fantastic ways to get them in your diet. Freshly washed straight out the punet. The little balls of blue goodness are so yummy, I really don’t think they need anything else. A handful of blueberries ontop of your breaskfast. I think they are particularly good with a little homemade granola and yougart. 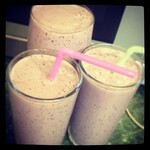 Blueberries + 1 banana + ice + a little milk + a blender = the most delicious healthy anti-oxident smoothie. I often see Blueberries on offer but they don’t stay fresh for long but then I found out you can freeze them. According to the World Healthiest Foods; New studies make it clear that we can freeze blueberries without doing damage to their delicate anthocyanin antioxidants. After freezing blueberries at temperatures of 0°F (-17°C) or lower for periods of time between 3-6 months, researchers have discovered no significant lowering of overall antioxidant capacity or anthocyanin concentrations. These findings are great news for anyone who grows, buys, or picks fresh berries in season and wants to enjoy them year round. They are also great news for anyone who has restricted access to fresh blueberries but can find them in the freezer section of the market. So now I buy double oif they are offer and freeze them. You can put frozen fruit directly into your blender and it makes it a lovely ice cold drink. Whilst we are all trying to get healthy and detox in January, I thought I would give you an easy quick health tip everyday, to help you on your way…. 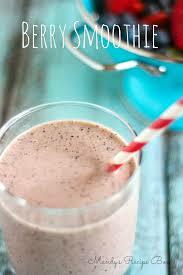 Easy Quick Healthy Tip 1: Add a handful of rolled oats to a smoothie. As rolled oats pass through the bowel they drag all toxins out with then, helping you keep a nice clean healthy bowel. On top of all the lovely vitamins and minerals you are already getting from your smoothy. 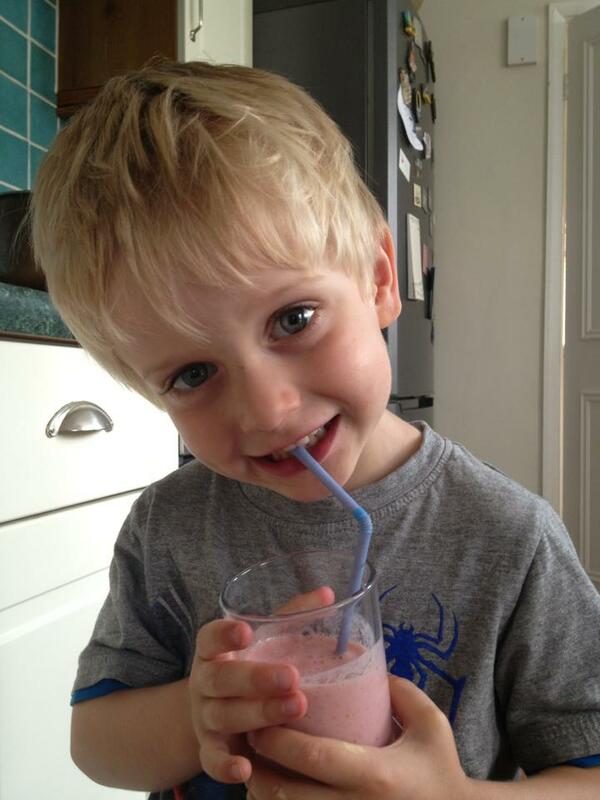 This smoothie is a punt of blueberries, two bananas, handful of organic rolled oats, 200ml of milk and about 20 ice cubes, all blended together, made 4 full glasses, one for each member of the family! Delicious! – A tsp of Linwoods milled Flax, Sunflower, Pumpkin & Sesame seeds with Goji Berries. 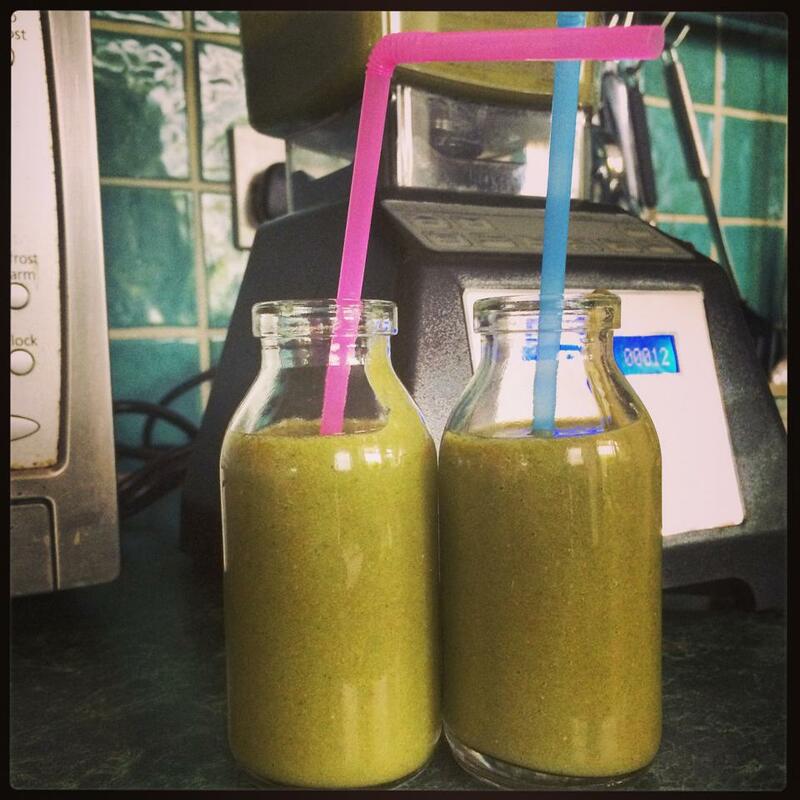 Literally chuck it all in the blender & hey presto a delicious smoothie, full of super-foods, antioxidants, nutrients, vitamins & essential fatty acids…. all that & it tastes delicious! In this lovely warm weather I have also been adding 5 or 6 ice cubes to give it a seriously refreshing taste. I honestly think Juices & Smoothies are the easiest way to get some seriously good stuff into your diet in the most delicious way. I have not stopped since seeing my nutritionist (as well as eating a much healthier diet) & I feel so much better, but this smoothie really is becoming a firm family favourite.